SOLD This wonderful example of a Frogeye is being reluctantly offered for sale by us on behalf of a very good friend, due to his increasing family commitments . It has been in the current ownership for 25 years and was the subject of a ground up nut and bolt restoration to the highest standard which was completed in 1999. 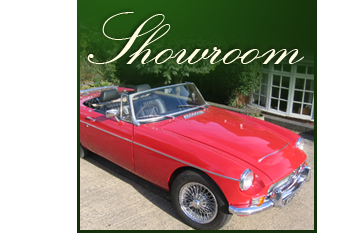 The owner has worked in the classic car parts supply business for many years , and has therefore had access to the best and most original parts which have been used in the restoration. It has had some upgrades to make the Frogeye more usable in todays traffic conditions such as a rebuilt 1098cc engine, later type 1275 gearbox and disc brakes, but in all visual respects the Frogeye remains standard and just as you would have purchased one from a BMC dealer in 1959, in Old English White with a red interior and the optional extras of a front bumper and wire wheels. After 15 years and 8000 summer miles , the Frog still presents and drives extremely well, with good detailing under the steel bonnet,a lovely interior with all gauges working , and full and correct weather equipment including tonneau cover.The underside is painted in body colour and is still as sharp as when the restoration was freshly completed. There are many Frogeyes for sale, but few which are as good original right hand drive ones such as this. It comes together with a valuable transferable registration number and extensive documentation and photos. Early inspection is advised.